Two years before playing in front of 93,689 fans at the Rose Bowl against Colombia in the 1994 World Cup, the first World Cup game won by the United States in 44 years, Philadelphia Union assistant coach Mike Sorber was playing college ball in his home town at St. Louis University. 1992 would prove to be a momentous year for the then 21-year-old Sorber, earning both his first cap for the US national team and being named as a finalist for the Hermann Trophy. 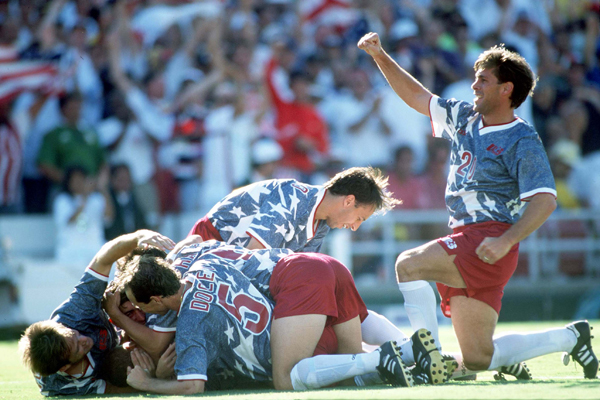 At the 1994 World Cup, the US advanced to the Round of 16 where they were defeated 1-0 by eventual champions Brazil. 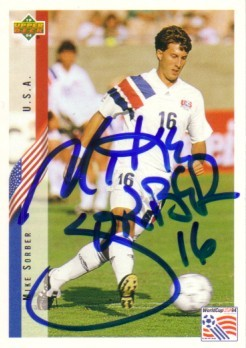 Sorber started in all four of the US games in 1994, playing all but 15 minutes. Mike Sorber grew up in a soccer family in a soccer town. His father, Pete Sorber, was the head coach at St. Louis Community College-Florissant Valley where, over a 30 year career, he led the team to ten National Junior College Athletic Association championships. The path to the national team through the US Soccer Development Academy system now seems simple: a young player advances through the age levels of one of the affiliated development academies, coming to the attention of the different youth national teams. But the current academy system was only founded in 2007. Before that, the main path to the national team was through US Youth Soccer’s Olympic Development Program, a fragmented system over which US Soccer had no control and little input. It was easy even for players within that system to fall through the cracks. Asked how he came to the attention of the national team in the lead-up to the 1994 World Cup, Sorber points to St. Louis University’s appearance in the Final Four of the NCAA championship tournament in 1991 when St. Louis faced Virginia in the NCAA tournament. Milutinovic was at the game to see Claudio Reyna play. On January 25, 1992, Sorber earned his first cap with the national team in a 1-0 loss to the Commonwealth of Independent States, a team made up of players from countries that had been part of the Soviet Union. Over the next month and a half, Sorber would be with the US team for five road games against Costa Rica, El Salvador, Brazil, Spain, and Morocco, making four appearances, each of which he went the full 90 minutes (he didn’t play against Brazil). Meanwhile, Sorber returned to St. Louis to finish out his final year in college, all the while making periodic appearances with the national team. In 1992, Sorber was named as a finalist for the Hermann Trophy, which was won that year by Brad Friedel. In January of 1993, Sorber was with the national team’s pre-World Cup residency camp in Mission Viejo, California. In the absence of an American first division soccer league, the residency camp had been established to ensure that national team players could train full time. The players still had to earn a living, so they signed contracts with the federation. As host, the US had an automatic spot in the 1994 World Cup. And while the perils of qualification would not be missed, the team lost out on the opportunity to compete against other national teams, usually a major determinant of who makes the World Cup squad. To address this need for quality opponents, the federation organized an unprecedented match schedule that, between 1992 and the start of the 1994 World Cup, featured 73 games, including friendlies, mini tournaments like the US Cup and Kirin Cup, and the 1993 Gold Cup. That schedule, along with the fact that players were living and training together, produced in a club-like atmosphere within the team. Sorber’s memories of Milutinovic are informed more by what Milutinovic actually brought to the team as a coach than by his mannerisms with an American press corps that was largely made up of reporters who were new to soccer. That “simple soccer mind” was exactly what the US needed. Reminded about the quote now, Sorber considers the context of the times. “People struggled to understand soccer in this country, no one really had a good reference point, so, I’m not sure what they were looking for. But, I was never — I didn’t have the hair, I didn’t have a certain flashy style, I just had a soccer brain, and I was an important piece to the team. But, most soccer writers couldn’t understand what that meant. So, anytime they would discuss potential picks — much like they do now — one, I wasn’t talked about, or two, they would say there’s no chance this guy’s going to make it. And then, once I did make it, then they couldn’t understand that. And then I started every game, and I was an important piece for the team, and they still couldn’t understand it. The US played in front of massive crowds in 1994: 73,425 against Switzerland, 93,689 against Colombia, 93,869 against Romania, 84,147 against Brazil. Sorber remembers the crowds inducing less anxiety than one might think. However, the rest of the conditions in Detroit were tough, as they were in all of the games. Before the US could face Brazil in the Round of 16, they had to get a result against Romania. Already with four points after the draw with Switzerland and win over Colombia, a point against Romania would guarantee knockout round play for the Americans. Instead, the US lost 1-0 and had to wait two days to learn if they would make it through. The first half of the game against Brazil ended scoreless, but will be forever remembered for the red card Brazil’s Leonardo received for an elbow that fractured Tab Ramos’ skull. Sorber said Ramos’ departure affected the game more than Leondardo’s exit, “Really, the only thing it changed was that it took Tab off the field. He was a key piece as far as somebody that could create, help set up, which he did in the other three games. The 1-0 loss to Brazil came exactly six years to the day after FIFA announced the US would be the host of the 1994 World Cup. 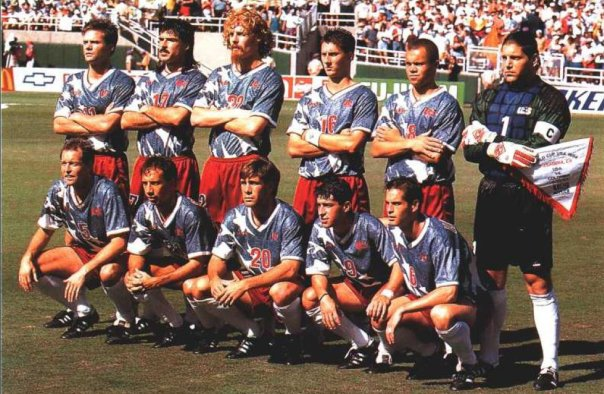 In addition to hosting the 1994 tournament, the US made their first appearance at the World Cup in 50 years in 1990. Since that tournament, the US has had an unbroken run of qualifying for World Cups: Seven for seven. And that success has greatly contributed to the birth and continued growth of a domestic soccer league. Two years after the 1994 tournament, the first game was played in Major League Soccer. Sorber and the rest of the players on the 1994 team couldn’t have known just how their performance would be a spark for the continued development of the game in the US, they did have an awareness of their responsibility in laying the foundation for the game’s future in this country. But the more salient responsibility was those first three games in 1994. That understanding of how so many observers – domestic and international – dismissed the US connects with the long term legacy of the 1994 team. “It’s sort of that weird perception of, you know, ‘Oh, the US is no good.” It’s still a label that our players battle through and fight with trying to earn their respect. Whether it’s Bob Bradley coaching or Michael Bradley playing, or Clint Dempsey, or Landon Donovan, or any of the other guys who’ve gone to Mexico or gone to Europe, there’s always that responsibility as an American to sort of open doors for others that will come behind you, and to prove that we have some talent, and that we can have individuals that will fit into a group or a team, and make them better. So, I don’t think we could fully grasp the scale of what was to come afterwards, but we knew we had a good opportunity and we had a big responsibility to lay the foundation and make a good impression. Sorber’s future would include two seasons in Mexico’s top flight with Pumas, where he became the first US player to be named a Mexican first division all-star. In 1996, he joined MLS, where he played for five seasons before retiring after the 2000 season to become an assistant coach at his college alma mater. 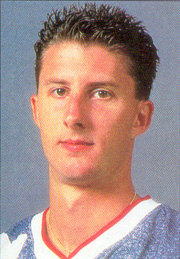 In 1998, Sorber was named as an alternate for the US World Cup squad but did not travel with the team to France. 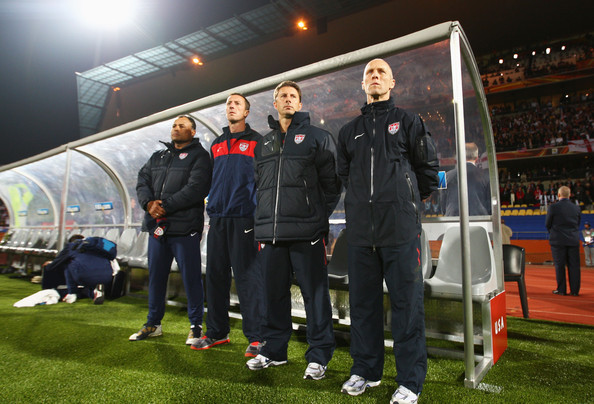 In 2007, Sorber became an assistant coach with the US national team, and was with the US at the 2010 World Cup. He then joined the MLS coaching ranks, first as an assistant with Montreal Impact and, since the last offseason, with Philadelphia Union. Quite a journey for a guy whose soccer career began with pick-up games against the older kids and who says it was luck that first brought him to the attention of the national team. When reminded of the Milutinovic’s quote describing him the 1994 US World Cup team’s most valuable player, Sorber responded, unsurprisingly, like the team player that inspired the quote. Great interview, Ed! Strong work. Quick question: does he stay with the Union with Hack’s termination and work for/with Curtain? Thanks, Brian! It looks like he’s staying, Curtin talked about the two of them working together in Thursday’s press conference. I should say that I interviewed Sorber last Saturday before the game against Vancouver. I had arranged to interview him strictly about his World Cup experiences so I didn’t ask any questions about the Union.